How long have you been a stitcher and how did you first learn about stitching? When did you begin designing your own patterns and how did that turn into a business? I have been stitching since my mother taught me how to stitch and knit when I was in junior high school. Although I put it aside for many years, I took it up again while in college when a friend taught me counted cross stitch. I began my own design company in 2004 after I designed a Christmas ornament for my local sampler guild and friends there encouraged me to try my hand at designing professionally. What are a few of your favorite themes when designing a pattern? I love antique samplers!! It’s that simple. So, my design themes are based on old samplers. I have over 25 antique samplers and plan to reproduce many of them. I enjoy doing the research to discover more about the young girls who stitched these samplers. 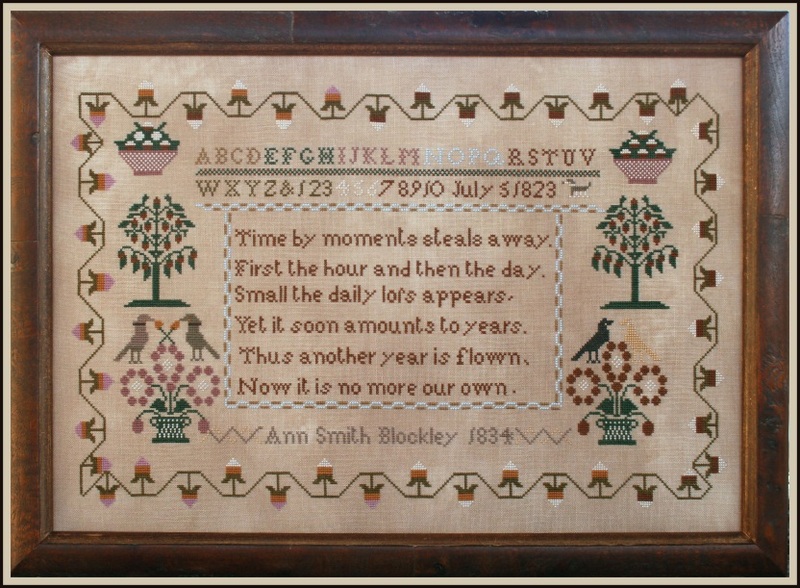 It’s heaven to me to just study an antique sampler, so I attend seminars hosted by museums whenever I can and read books about samplers from my library of needlework books. I hope I will still be designing, attending trade shows and working with the wonderful shops who stock my designs. Because of the huge problem we have with piracy of designs on the internet, many designers and shops have closed their doors. I hope that within a few years we will have this problem more in control, as at times it simply seems like the best option is to stop designing. I would like my company to continue to grow and flourish in the next 5 years. How important is social media in the cross-stitch industry and how do you make use of it for your company? I think that social media is very important to anyone currently in business. Shopping these days is done online and people seem to want to talk about what they bought and what projects they are working on. 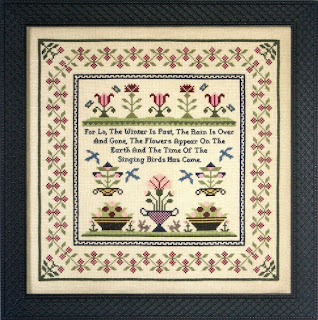 While the internet has increased the closure of independent needlework shops, there are several shops which have a wonderful online presence and use social media to expand their customer base. I would hate to see brick and mortar shops completely disappear, as I love to see and touch fabrics, fibers and charts. So, while I might do my research online, I support my local needlework shop when I am buying for my personal stash. 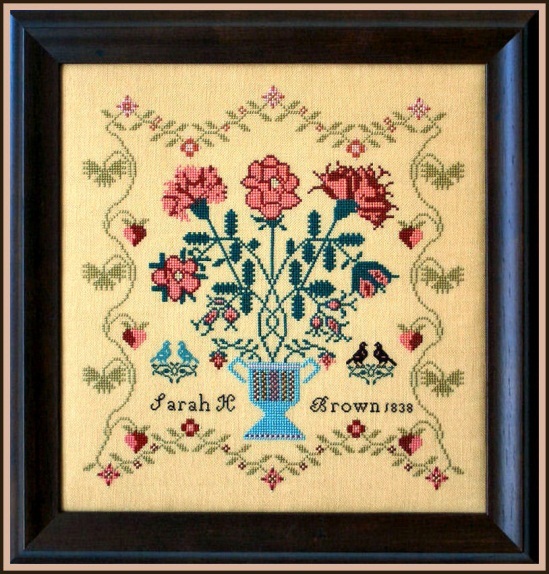 I have a blog at: www.miladysneedle.blogspot.com and update it at least once a month with news about new designs and upcoming trade shows. 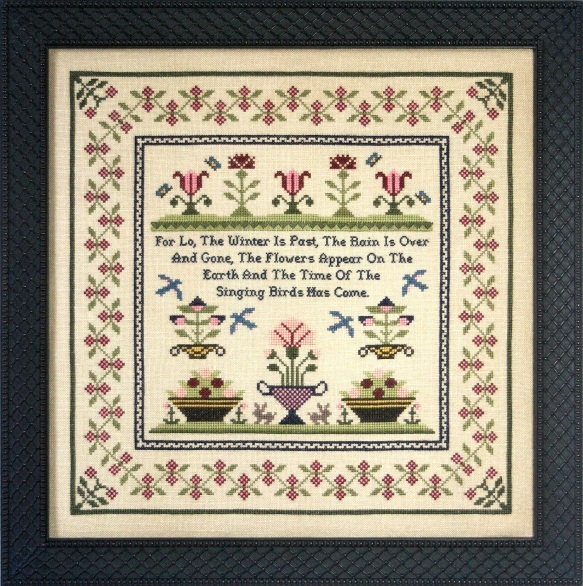 I do have a website at: www.miladysneedle.com but it is woefully outdated, so I post my new designs on my blog. There is never enough time in the day to do everything, but my husband is retiring at the end of this year and hopefully we will get the main website caught up to date after this happens. What other designers are you a fan of? I know so many wonderful designers out there and I appreciate their talent even if I might not personally stitch their designs. I can just love a design, but it might not be my personal cup of tea. Since I love antique samplers, most of the patterns in my personal stash are from reproduction designers. I have been buying reproduction sampler patterns from The Essamplaire, The Examplarery, The Scarlet Letter, Threads of Gold, The Sampler House, Sheepish Designs, Good Huswife and Handwork since I fell in love with samplers in 1995. A couple of these designers have retired and I miss their presence in the market place. 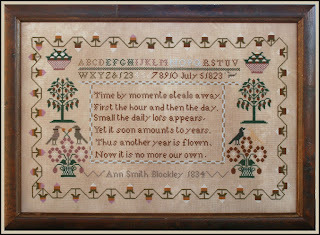 But several newer reproduction sampler designers such as The Scarlet House, Sampler’s Remembered, Needlework Press, Shakespeare’s Peddler, Queenstown Sampler Designs, Needleprint and With Thy Needle & Thread have come into the market place in the last 10 to 15 years and I have appreciated their work as evidenced by the presence of their designs in my stash. 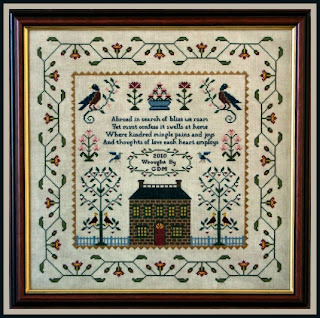 Of course I also am in awe of the great business minds behind Little House Needleworks and Blackbird Designs both of whom have come out with a few reproduction samplers. There are so many other designers designs populating my stash, that they are too numerous to name. I am a collector and love to sit down with my collection and simply enjoy the art of the needle. Do you or are you willing to travel for stitching events? I love to travel for stitching events. I attend Sampler Seminars whenever I can. I attend at least one retreat a year and would love to add more. 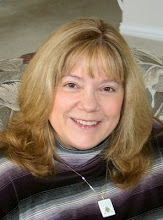 I go to TNNA trade shows and love to meet my customers and keep up with new trends in the counted thread marketplace. These shows are invaluable for my business and I wish I could attend all of them. I love to teach and would love to do more of this with sampler guilds, retreats, and needlework shops. Do you feel your style has changed over time, and if so how do feel about your older designs now? What is your personal favorite design in your line? Besides stitching and designing, what are a few things you enjoy in your free time? I love to read…all kinds of books including mysteries, fantasy, current novels, history, biography and especially historical novels. One of my favorite historical novels is Katherine by Anya Seton. Of course books on samplers abound in my collection and these are opened more than once a week. I also love to watch old movies and TCM is my favorite channel. I could watch Casablanca, The Thin Man series and any of the Preston Sturgis movies over and over and not get tired of them. Since I have seen these so many times, it’s much easier to stitch while watching old movies. I also love period movies with Elizabeth and Shakespeare In Love being among my favorites. I love all kinds of music except traditional opera. It depends on the mood I am in as to which music I choose. I like to stitch by soothing music and often choose new age or 17th century music. 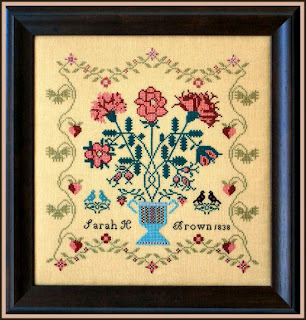 The latter always sweeps me back in time thinking about those young women of the court stitching on beautiful samplers. If I am doing housework I listen to 70’s rock. It keeps my energy up and my husband always laughs as I dance through dusting. What are your three greatest achievements? What do you want to achieve in life? Wow, big questions. I think my three greatest achievements are attaining my Master’s Degree in Counseling Psychology, starting my own business and the development of meaningful friendships with strong women. I would like to leave this world knowing that I have made a difference in the lives of those around me. What I would like most to achieve in this life is the serenity that comes with clarity of purpose, with direction from the spirit and with living life to the fullest each and every day. Interestingly, I don’t want to win the lottery. That much money is a burden rather than a blessing. Thinking about how to spend all that money, usually selfishly, changes a person and their focus in life. I would rather just have a very successful business that provides me with enough financial success to meet reasonable needs, travel and of course expand my needlework stash. Who has influenced you most in your personal life? I would have to say that my father influenced me most in my personal life. My father was a University Foreign Student Advisor with a PHD in Education. His beliefs throughout his life centered on tolerance towards those different from you, giving to others less fortunate than you and learning as much as you can right up until you leave this world. Other influences include my four sisters with whom I am very close. I am fortunate to have a family that I can talk to about anything and who support me to be the best I can be in every endeavor I undertake. My husband has been the biggest part of the inspiration behind my business. Without his support both financially and personally, I would not have been able to begin or maintain Milady’s Needle. He has given me the opportunity to turn my passion into a job that I love and that willingness is inspiration in itself. In addition, my friends have also inspired me to keep designing. Their appreciation of my creativity has given me courage when I needed it and new ideas when I felt the need for renewed inspiration. Those who stitch or collect my designs have also inspired me to continue to create new and exciting needlework for their pleasure. I believe that needlework can act as food for the soul and in that way I have an active part in helping others to create a richer and more soulful life. That has made it all worthwhile. How long have you been a stitcher? Before I started school, I had a babysitter that did embroidery and I loved it ! When I was 6 years old, my mother bought a stamped dresser scarf for me and one for each of my two older sisters. I stitched my scarf and had to finish theirs before she would buy another project for me. That scarf is still on my dresser but the tablecloths, towels, pillowcases, and hankies are all worn out. Now, I do not have to finish a project before I can start another one since I stitch most of the models in my shop. I do eventually finish all the projects. I love samplers and usually have one going at all times. I stitch Lizzie Kate, Bent Creek, Trilogy, Little House Needleworks, Country Cottage beach themes, La D Da ( I never knew that Mares Eat Oats had real words), Just Nan and lots of Shepherd's Bush just to name a few of my favorites. 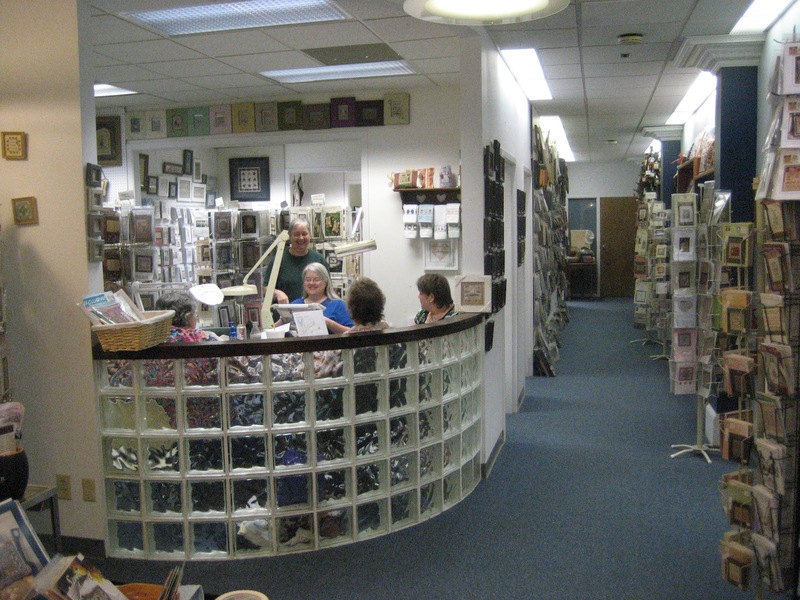 Cross Stitch & Crafts just began our 15th year in July. When we retired, we moved home to be near my husband's aging parents. Johnson CityTennessee, is a small college town in the mountains and did not have a needlework shop. I am a retired nurse that always enjoyed needlework as a hobby. In the past 15 years, I have learned a lot about business and have thoroughly enjoyed every minute of meeting new stitchers and learning about stitching. 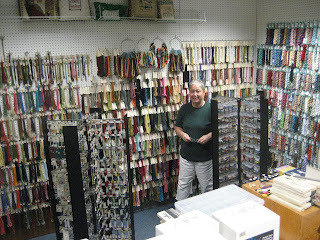 When we opened, I had just learned about Sampler and Weeks Dye Works threads and was a little intimidated by Pat and Ann at R& R fabrics. It was a good time to start a needlework business and I was able to learn while I was trying to keep up with all the new things and could share it all with the customers. How important is the social media? Sharing has been an important part of the business as there has always been a round table and chairs for anyone to sit and stitch. When a project is finished, someone actually gets to " do the dance." 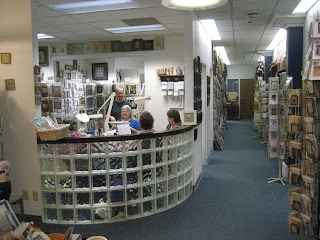 We do have a website, www.TennesseeStitching.com " that gives information about the shop, location and a map to find us. Conventional advertising has not provided many growth opportunities for us as we have found that word of mouth works best. Stitchers loves to introduce their stitching friends to their source. Just last week, the elevator opened and I heard a new customer announce to her friend, a regular customer, that she was now in cross stitch heaven. Being a shop owner, you start out with the things that interest you and then fill in with other things that customers want. I think it is really important to be a member of the professional association and attend the markets that are appropriate for your inventory. I like to tell customers about the designers and encourage them to keep up to date with the newest designs. Cross Stitch & Crafts offers a room full of fabrics and a room overflowing with threads, not to mention the beads, buttons and charms to embellish. I thought the shop should do one thing well, and tried to carry everything needed to stitch each pattern in the shop. I expanded quickly as I learned that we use the same threads for other stitching like needlepoint, tatting, punchneedle, hardanger, and beading. My husband, Fred , and I have two children. Becca and her husband live in Huntsville, Alabama. They have three children and she is the 7th and 8th grade math teacher at their school. Becca is one of those rare birds that stitches one project at a time. Granddaughters Mary (8) and Kate (11) love to spend time in Nonna's shop and are good stitchers. Thomas and his wife live in Marshall, North Carolina. They have a one year old son. I also like to knit and quilt for the grandchildren, and read romance and mystery novels. My customers will tell you that I like to share my philosophy about stitching. If you will stitch for 15 minutes before going to sleep, you will sleep better. It relaxes you and soothes the worries about your job that you may have brought home with you. JBW Designs & Golden Needle!